Website design Southampton County | VISIONEFX provides web design in Virginia. 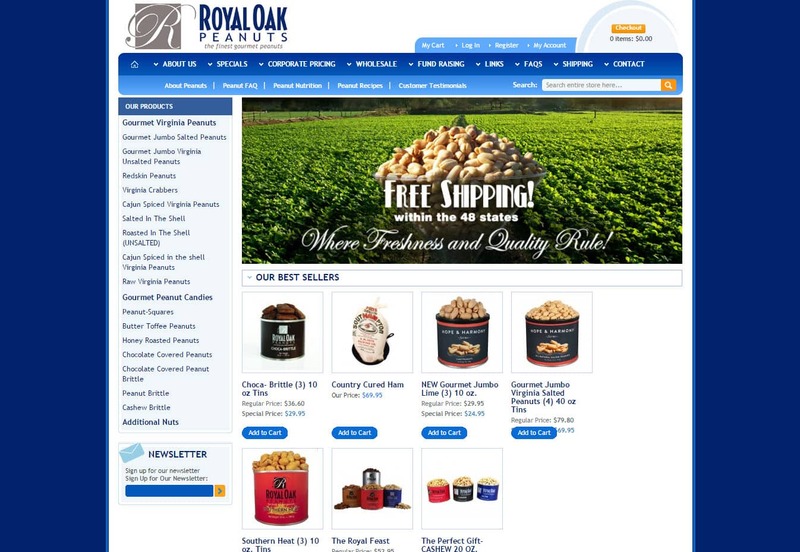 Royal Oak is an e-commerce website developed on the Magento platform to sell prepackaged food products online. The website payment processing also integrates with the client side UPS label generator for quick shipping. 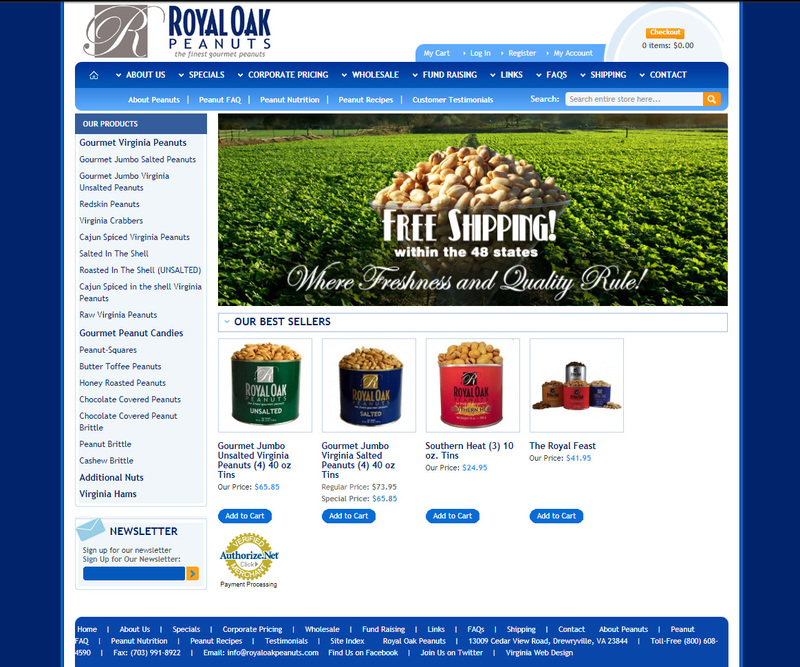 Royal Oak Peanuts is located in Southampton County VA.